The EasyIO N4 Supervisor is an IoT (Internet of Things) software platform used in server-class applications. It makes managing all buildings at an enterprise level possible, giving facilities managers the ability to quickly respond to problems and insights to optimize their system. The EasyIO N4 Supervisor allows multiple Niagara-based JACE® controllers, along with other IP-based controllers, to be networked together. It serves real-time graphical information to standard Web-browser clients and provides server-level functions. These functions include centralized data logging/ trending, archiving to external databases, alarming, dash boarding, system navigation, master scheduling, database management, and integration with other enterprise software applications through an XML interface (oBIX standard). Also, it provides a comprehensive graphical engineering toolset for application development. The EasyIO N4 Supervisor is available through a wide variety of original equipment manufacturers. Our open distribution business model and open protocol support allow a vendor- neutral application compatible with devices and systems throughout the world. 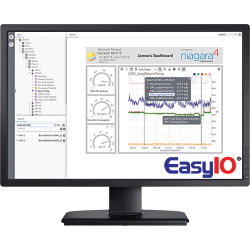 To learn more about how to purchase, install and start using The EasyIO N4 Supervisor, or if you are an original equipment manufacturer and would like to add the Niagara 4 Supervisor to your suite of offerings, please contact us. Many open protocol IP drivers are included with Niagara 4. Others can be purchased separately à la carte. For an up-to-date list of supported drivers, visit our resource library on tridium.com. In any given Niagara system, the Niagara Supervisor must be running the highest version of any Niagara instance in the architecture. Niagara AX: EasyIO N4 Supervisors can connect to JACEs running Niagara AX versions 3.6u4, 3.7u1, 3.8R and higher. R2: Niagara AX and EasyIO N4 Supervisors can connect to JACEs running R2 through the oBIX XML interface only. oBIX is included in all Niagara AX and Niagara 4 Supervisors as a means of integrating Niagara-based Release 2 (R2) JACEs. With Niagara Release 2.3.522 or higher, the oBIX driver can be added to expose all data points, schedules, trends and alarms to a Niagara AX or Niagara 4 system. This oBIX driver is both a client and a server. Niagara 4 Supervisor may run acceptably on lower-rated platforms, or may even require more powerful platforms, depending on the application, number of data points integrated, data poll rate, number of concurrent users, performance expectations, etc. Platform requirements for older versions of Niagara Supervisors are included in the Release Notes for each particular version. The JACE 8000 is a compact, embedded Niagara Framework®- based controller and server platform for connecting multiple and diverse devices and sub-systems. It's designed as a Network Automation Controller optimized for BAS applications. With Internet connectivity and Web-serving capability, the JACE 8000 controller provides integrated control, supervision, data logging, alarming, scheduling and network management. It streams data and rich graphical displays to a standard Web browser via an Ethernet or wireless LAN, or remotely over the Internet. 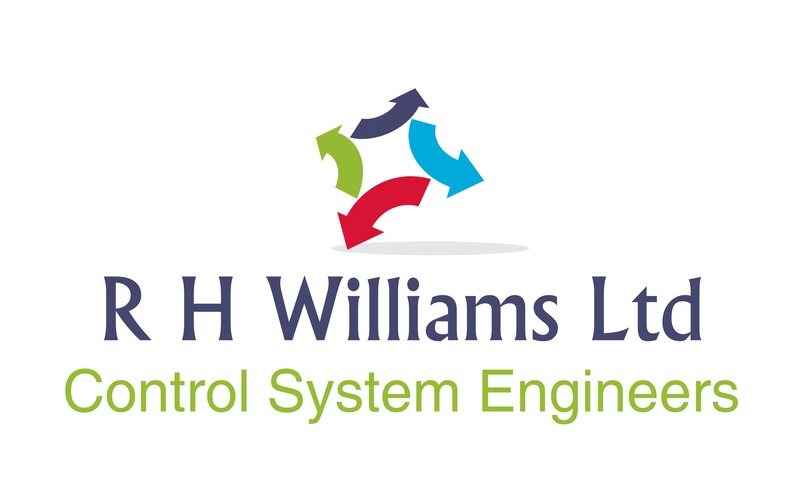 Web-based control systems are your key to saving energy, ensure that they are maintained and monitored regularly by trained control system engineers. Simple standalone control systems left to their own devices will waste energy and cost you money!